New Slim Transparent Crystal Clear TPU Case Cover For iPhone 8 Plus. The TPU material absorbs the shock and the four-point rear guards on the back keep your iPhone 8 Plus back protected. TPU Bumper is Design for Shock Resistant. New Slim Transparent Crystal Clear TPU Case Cover For iPhone 6/6s. The TPU material absorbs the shock and the four-point rear guards on the back keep your iPhone 6/6s back protected. TPU Bumper is Design for Shock Resistant. This Case Is the Perfect Made for iPhone XS Max that Features Full Protection with the minimal weight on the Phone. 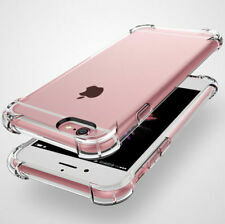 Also, This Cell Phone Case Cover is Featured with Beautiful Bumpers look as well it Provides Amazing Protection. Compatible with your Apple iPhone XR . Screen Protection: lay-on-table design, beveled edges are higher than the screen level to protect your screen from impact & scratches. We stand behind our products. iPhone Xs Max Case 2018, Military Grade Drop Protection,Shock Absorption. Wireless Charging Supported for iPhone XS Max. -Flexible case, pocket-friendly easy to put on and off with no worries about scratching your iPhone. Besides, its large charging cutout fits all original or non-original cables. Dress up your iPhone with an iPhone 4 Bumper. It's a fun and unique way to personalize your iPhone 4S or iPhone 4. Bumper fits snugly around the edges of your iPhone 4 and gives it a splash of color. Original Apple iPhone 4/4s Bumper Case (Orange). Original Apple iPhone 4/4s Bumper Case (Orange). Condition is New. US 2 PCS Professional Teeth Whitening Bleaching Dental Gel Kit Whitener Pen USD 14.90. 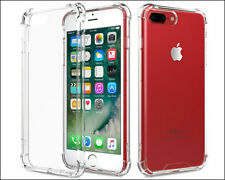 IPhone 7/8 Plus Case MADE OF - TPU and Polycarbonate material Designed Specifically for iPhone 7/8 Plus shock absorbing shatterproof premium. ANTI-SLIP PROPERTIES - gives youriPhone 7/8 Plus more grip on surfaces. Lontect Compatible iPhone Xr 2018 Case Glitter Sparkle Bling Heavy Duty Hybrid Sturdy Armor High Impact Shockproof Protective Cover Case for Apple iPhone Xr 6.1" LCD Display, Shiny Purple. 1x Hybrid case for Apple iPhone Xr 2018 with 6.1" LCD Display. 2X IPHONE XCase Bumper. Compatible: T he New iPhone X Edition 2018. Size: 44mm Tensea Apple Watch Band with Protective Bumper Case Full-body Design Uni-body case & band, keep youApple Watch stay in the loop. Perfectly fit for Apple Watch Series 4, Series 3, Series 2 Series 1. Four rubber corners provide good support cushion for shockproof, smooth PC out shell surface protects your iPhone 8 Plus/iPhone 7 Plus from fingerprints, scratches or dusts. Made of 2 interlocking high impact resistant Hard PC pieces outer-shell and high-quality Silicone inner-layer cover to enhance the shockproof function. RECON Ultra Hybrid TPU iPhone X Case - Flexible Air Cushion Technology Clear Drop Protection for Apple X (2017). Ultimate Comfort - Ultra Thin, Ultra Light, Sturdy, Rigid Back, Anti Slip, Long Lasting Clarity are just fewof the words that describe the Ultimate Comfort of Combining your iPhone X with this Ultra Hybrid TPU Case for Iphone10’s. Shockproof Corners TPU Bumper Hybrid Hard Clear Back Rugged Case compatible with Apple iPhone XS Max. Extra bumper protection at four corners for drop absorption. Reinforced buttons ensure prompt responsiveness. Up for sale is a 10 piece lot of bumpers for 38mm apple watches. Colors shown are exact you will recieve. Thanks for viewing,feel free to check out my other listings! 9 piece lot. These will be the exact colors you recieve! Thanks for viewing,feel free to check out my other listings! new unusued protective bumper case for apple watch series 4 44mm only. perfect fit and protects screen with its raised edge. its a firm rubbery feel so not slippery but absorbs impact and drops. IPhone 7 Case, iPhone 8 Case, JAHOLAN Amusing Whimsical Design Clear Bumper TPU Soft Case Rubber Silicone Cover for iPhone 7/iPhone 8 - Eating Giraffe. 1 x JAHOLAN Case for Apple iPhone 7 (2016) / iPhone 8 (2017). Precise cut and design allows for full access to all ports and features. With its rugged full-body design, you can protect your expensive iPhone XS and iPhone X. Breaking the barrier and redefining the stigma that durable protective case equals bulky. LUOLNH IPhone 7/8 Plus Case With Flowers,Slim Shockproof Clear Floral Pattern NEW. Condition is New. Shipped with USPS First Class Package. Material: The case is made from Flexible Thermoplastic Polyurethane (TPU) and IMD (In-Mould-Decoration) Technology. Make the Print Vivid and Never Fade. Precise cut and design allows for full access to all ports and features. With its rugged full-body design, you can protect you expensive iPhone XS Max. Breaking the barrier and redefining the stigma that durable protective case equals bulky. IPhone 7 Plus/8 Plus, Zizo PIK Series Resilient TPU Bumper Hybrid Phone Case Accessories/Teal, w/Tempered Glass Screen Protector. Silicone Alley Apple Watch series 2, 42 mm bumper cases. Set of 5, black, clear, pink, blue and green. Slim fit, super lightweight Apple Watch protective cover. Protects against dust, stains, bumps, fall, scratches. Selling because they would not fit my daughters 38mm watch. From a smoke free and pet free home. Please message with any questions. Thanks and and have a blessed day! Precise cut and design allows for full access to all ports and features. With its rugged full-body design, you can protect your expensive iPhone XR. Breaking the barrier and redefining the stigma that durable protective case equals bulky. Apple Watch 38mm Black Crystalized Hard Bumper Case Cover Custom Crystalized by DaniellesTaTas . This is just a beautiful Crystalized bumper for Apple Watch 38mm! This bumper looks even more beautiful in person! We want to resolve ANY problems you have. This is a neon green bumper for iphone 5. Apple iPhone 6/6s Bumper case End Scene """"Gold"""NEW"""WOW"""L@@K""